And, while spinach, kale, and romaine play a large part in my life - sometimes you just need junk food. So let's talk sugar, carbs, and everything naughty. Should we eat this stuff everyday? Of course not! But, every once in a while - go for it. Treat yo' self. Life, after all, is about moderation. 10. Vegan Chocolate Milkshakes: I love these bad boys when I'm out to eat. I love them made at home. I just love them. Being allergic to dairy most of my life, I still remember what a treat it was when dad made milkshakes. Dairy free/vegan options weren't very popular in the late 90's. It was a huuuuuge treat to get dairy free ice cream, and he would always sprinkle chocolate jimmies on top. Nothing says nostalgia like a homemade milkshake for me. Homemade vegan chocolate ice cream. No bananas. 9. Chocolate Chip Cookies: If you come over to my house, there's a 99.9% chance I have a full cookie jar. Justin LOVES these. He will come up with any excuse for me to make them. My favorite is, "Kathryn, we're going to have people over in a couple of days. You should probably make cookies. It will make the house smell amazing." Obviously the smell isn't going to last three days, Justin. Thankfully, I can make them in under an hour. 8. Sour Gummy Worms: This is Justin's favorite bulk candy. We often go to the drive-in movie. We like the drive-in because it's cheaper and we can bring Nala. Nala loves to go to the movies. We'll stop by the bulk aisle to pick up our favorite movie going treats. But, I recently learned they have a whole section of bulk candy inside the concession stand! 7. Dark Chocolate Covered Almonds: This is my favorite bulk candy. Actually it's my second favorite. My first favorite was the peanut butter cups. But, they recently switched the supplier. The new ones have palm oil in them. Until that changes, I'll just pig out on some chocolate covered almonds. 6. Cheddar Whales: Let's get a little salty. These are like a cheddar cracker, but in the shape of whales. At Berkeley Bowl the also have cheddar quackams which are in the shape of ducks! Which is adorable and it reminds me of Mitch Headberg's duck routine - which is excellent. 5. Pretzels: Growing up pretzels were considered "healthy"; so, I'm still not sure how I feel about them on the junk food scale? But, I really like to dip them in melted chocolate chips from the bulk aisle. Which definitely makes them junk food. Also, I love to dip them in a strong horseradishy mustard - and filled with peanut butter! ... although - not at the same time. 4. Baked Goods: Most bakeries are so chill with putting baked goods straight into a cloth napkin or bag. Typically they grab the goods with tongs and plop it straight into your own container. No waste. Donuts, muffins, cinnamon rolls, croissants, bear claws, french twists, the list goes on and on. I am a sucker for a Saturday morning treat! I did walk all the way to the bakery - so it cancels out right? 3. Deep Fried: I don't deep fry very often only about twice a year. It's messy, uses a lot of oil, and obviously - isn't good for you. But, with a fourth generation fried chicken recipe - sometimes it's just tradition. I have used it for cauliflower and it's bomb. Hopefully granny would be proud. I also use her batter for onion rings. Since we have a pot of oil, I'll do french fries too. 2. Tortilla Chips: Having grown up in Texas, I am obsessed with chips and salsa. I get tortilla chips straight into my cloth bags from the tortilleria around the corner. If you don't have one of those handy, just pop into any mexican restaurant. I bet they're frying some up right now. My friend Gillian typically pops by with salsa which is so, so, so good. If you don't have friends who make great salsa - get new friends. I jest; I jest. But, seriously - get together with a group of friends and make salsa. Summer is on the horizon which means tomatillos and tomatoes abound. 1. Pizza: Please, don't tell me you were surprised? We make a lot of pizza, we pick up a lot of pizza to go in our own containers, and occasionally..... we even do delivery! WHAT!? I know. I bet you didn't see that one coming. When we order delivery, we always ask for no extra sauces or packets and no plastic mini-tables. I have absolutely no idea what the proper term for that is, but the guys at the shop seems to know what I'm talking about. I'm left with just a pizza box I can compost. Ordering meatless or cheeseless pizza leaves you with almost no grease. 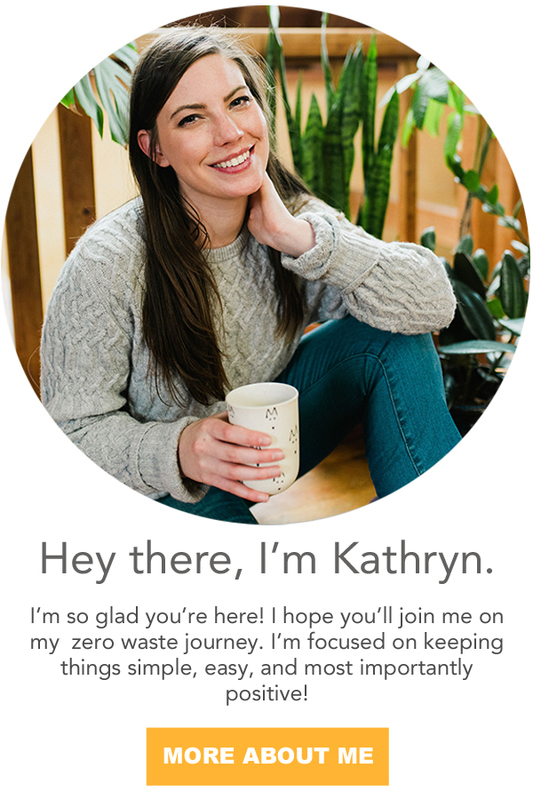 So, even if you don't have a compost - you can recycle it. If it's greasy, then transfer it to a snapware ASAP, so you can recycle your box. And, now you know! 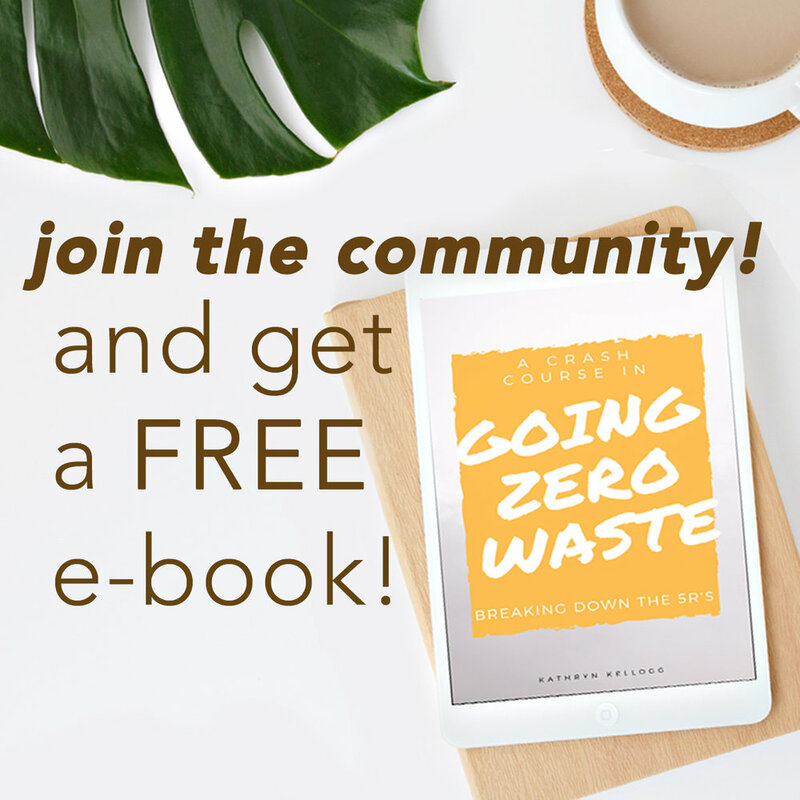 Going zero waste doesn't mean you have to give up your pizza delivery or junk food habit.... just promise me you won't go overboard?